A detailed theoretical study of viticulture, vinification, maturation, treatments and packaging. The Unit #2 is the entry point for the Diploma Program. This course must be taken first before proceeding on to the other units. This is the only Unit that we can schedule the date of the exam. 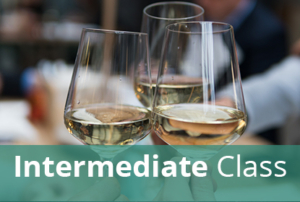 All other Unit exams are set in advance by the WSET. Once you are registered for an exam, there are no-refunds. This cost includes the 3-year registration fee required for the WSET, online tuition and access to the WSET tutors, 24/7 access to the on-line classroom, the Unit # 2 coursebook, a 100 question multiple-choice practice test (on-line with immediate feedback results), and the final exam (this must be taken at the Capital Wine School – Washington, DC). ***The registration deadline for this course is May 10, 2019 and there are no refunds or rescheduling after this date. Requests for registration after the registration deadline will be considered on a case by case basis and will be assessed a $50 late registration processing fee.